Please note that access to the exhibition for visitors will be limited 30 minutes before closing time. 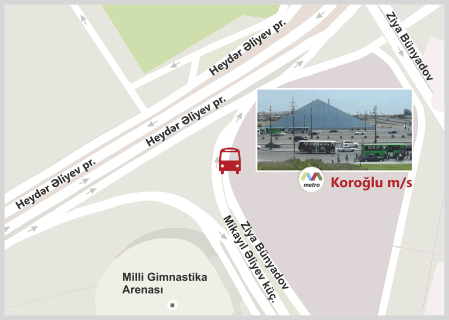 Baku Expo Exhibition and Convention Center is located within 3 minutes by car of Heydar Aliyev International Airport. We are pleased to welcome you as a visitor to this exhibition! On the 11-13 June, the exhibition will be open to industry specialists and persons working in related fields. Students will be able to visit the exhibition on 12-13 June only, upon presentation of a valid student card. Children under 16 years of age will not be admitted. Entry to the exhibition is permitted to those with an invitation or those who registered on our website and received an electronic pass to the exhibition. Those who registered on the website can save time at the exhibition by receiving all exhibition materials at the FAST TRACK SERVICE stand. For accommodation, visa support and other travel issues please contact the official travel agent. We look forward to meeting you at the exhibition! A wide scope for communication..